Lead & Nickel Free!! 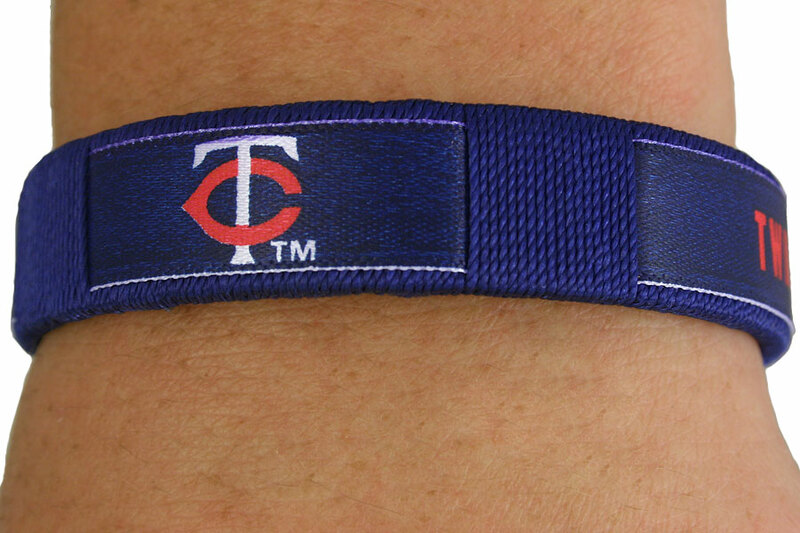 Blue Cuff Bracelet Displays A Ribbon With "Minnesota Twins" And Their Logo Printed On It. 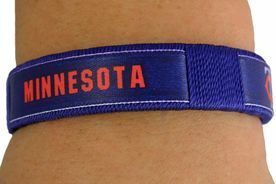 Bracelet Measures 2 1/4" Diameter.